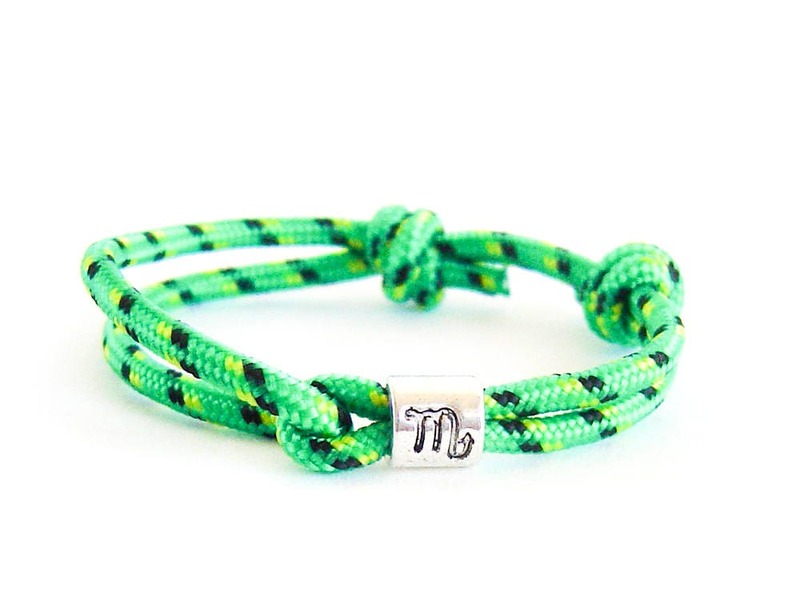 This zodiac bracelet is a Pisces zodiac jewelry - astrology bracelet, that will fits all! 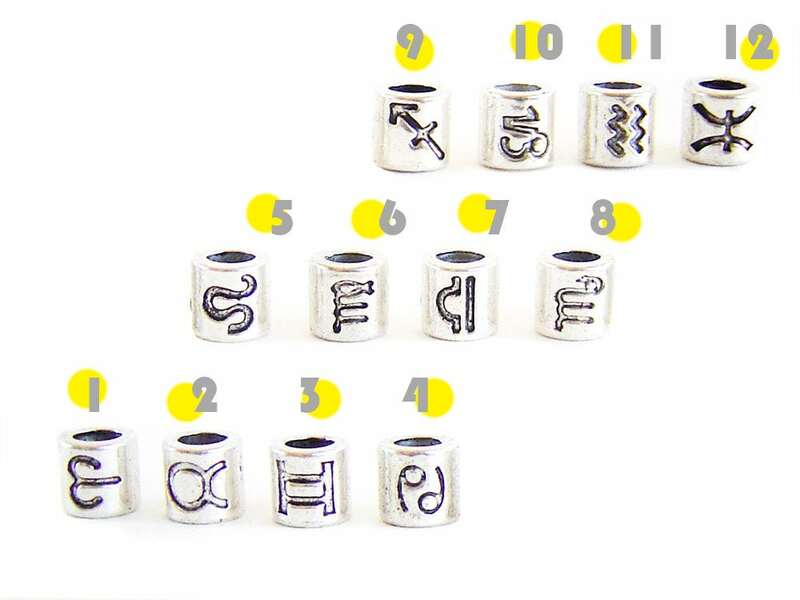 Just slide the knots of this astrology jewelry - horoscope bracelet and you will adjust its diameter. 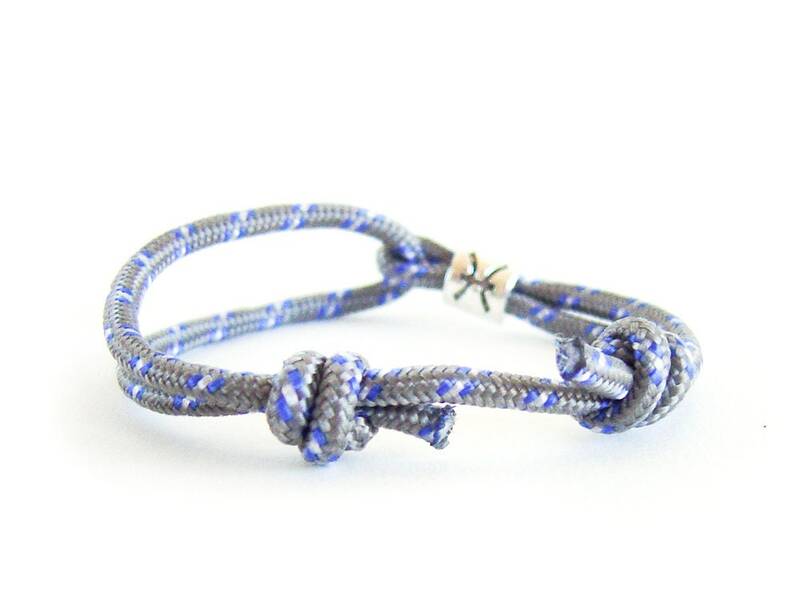 It is nice gifts for travelers or camping lovers idea. 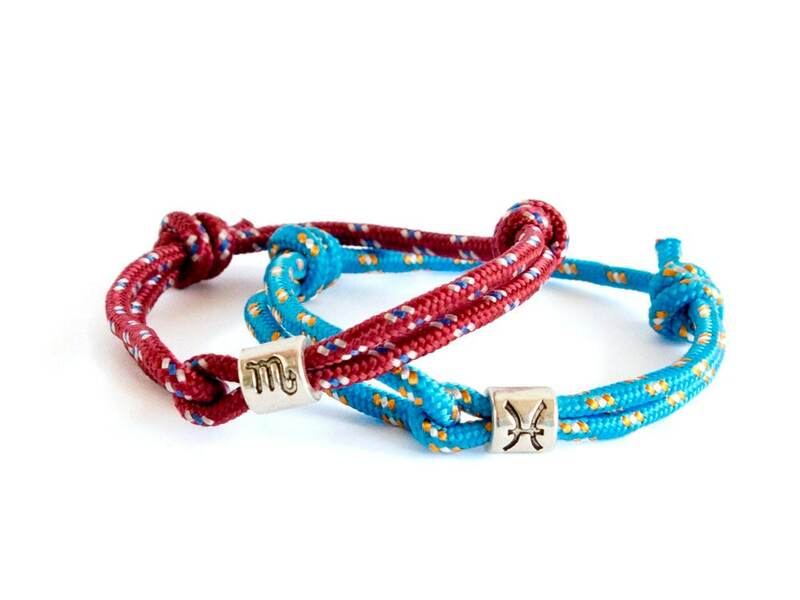 We handmade these bracelets of a rope and a metal bead with zodiac sign. 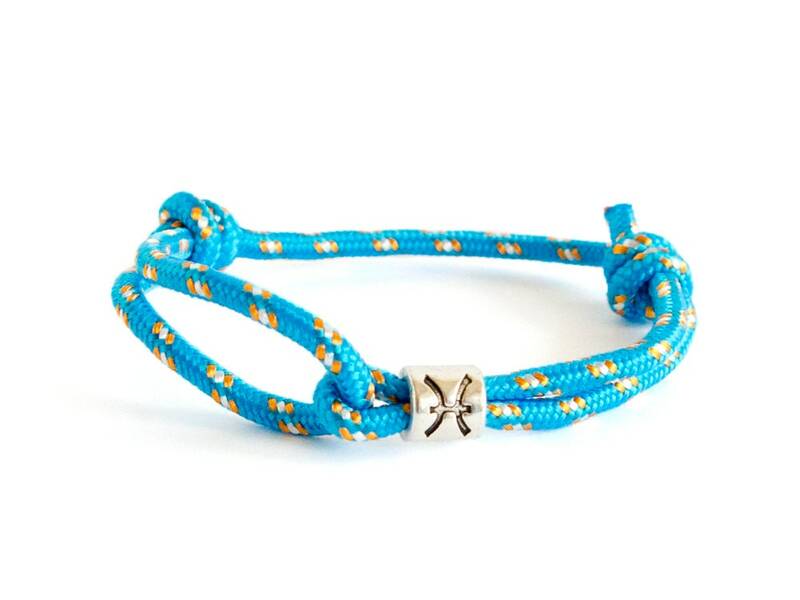 You can order it in all available colors and for all constellations. 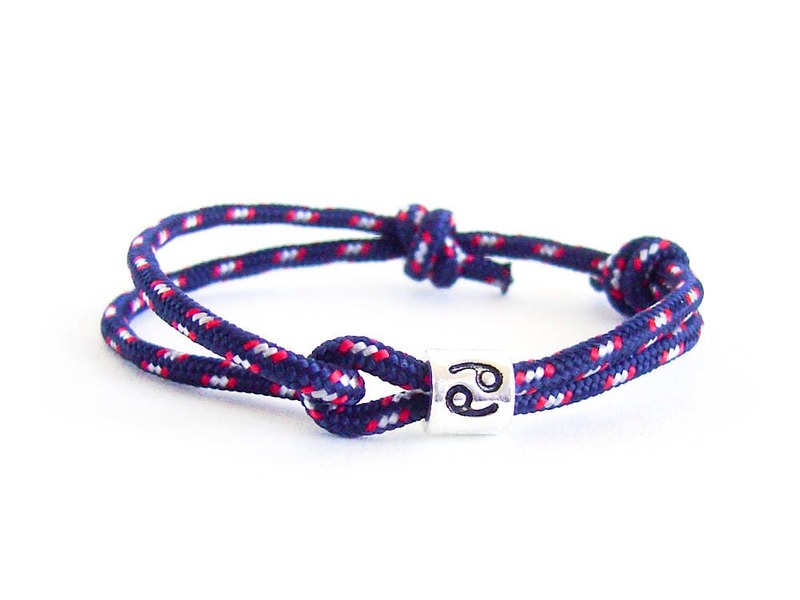 This is unisex zodiac bracelet. 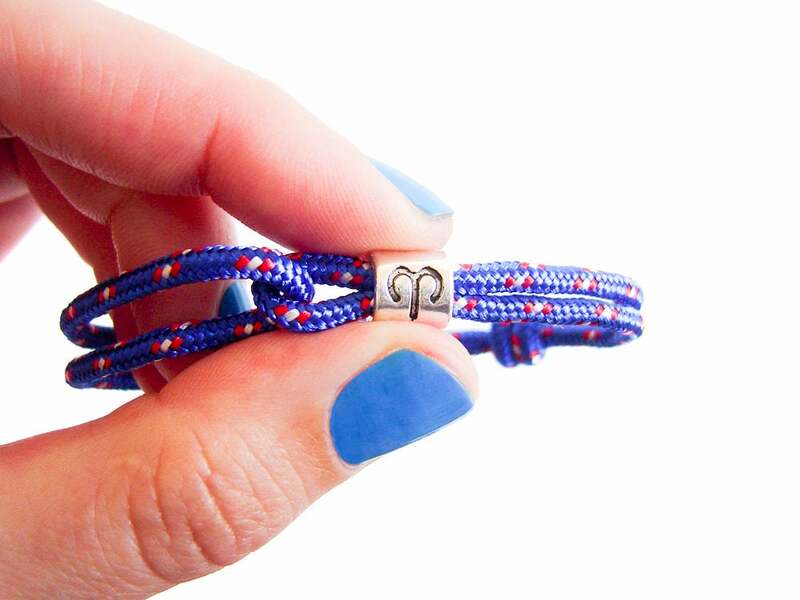 It will fit perfect to men and women. 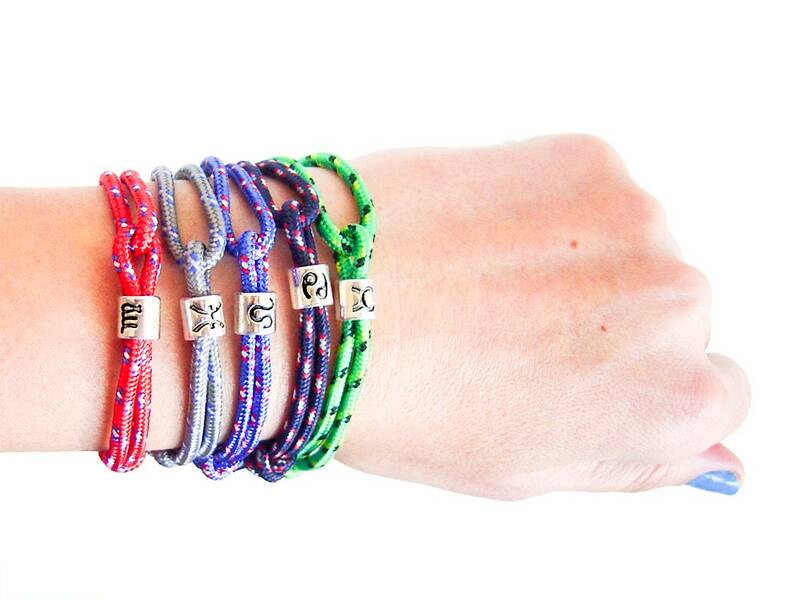 Our rope zodiac jewelry is comfortable to be worn. You can wet it and use it all the time. 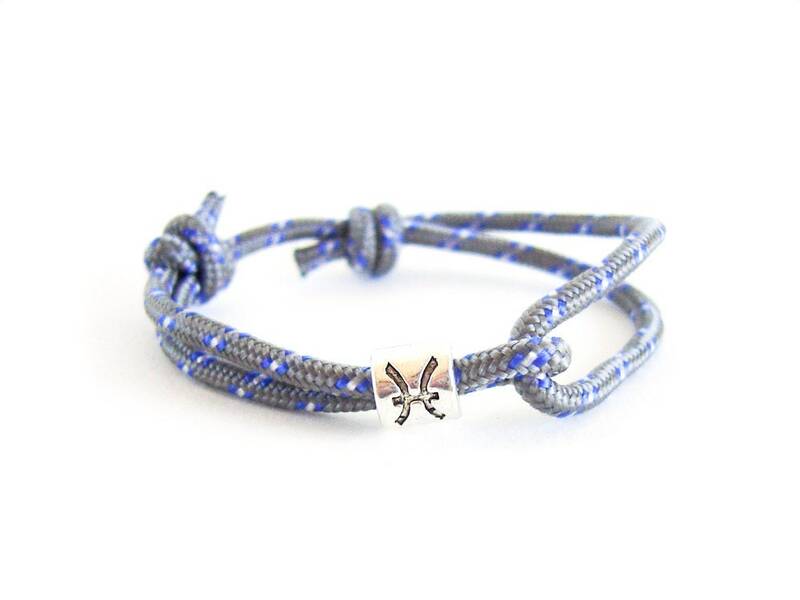 It is best for a gifts for travelers and active people.